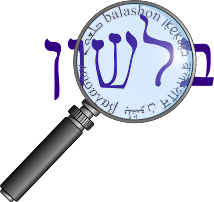 The name of the second Hebrew letter, bet ב, derives from bayit בית - house. Again, I recommend looking at this site for a "visual history" of the letter. Kutscher (p. 34) points out that in some parts of Ancient Israel and Canaan it was common to pronounce words that we say with "ai" as "e", even not in the construct state (smichut) . They would say (and write) ין yen instead of יין yayin, זת zet instead of זית zayit, בת bet instead of בית bayit, קץ ketz instead of קיץ kayitz (see Amos 8:1-2 for an example of a play on words that would be understood to those with this pronunciation). Bet alternates with its unvoiced counterpart peh (בזר פזר). You can hear how similar they are if you listen to the difference between the word "spin" and "pin" in English. It can also alternate with mem, particularly in place names (say mem words with a pinched nose and you'll see why.) The Romans called Yavne Iamnia (or Iamneia). The river Abana was also pronounced Amana. The connection between both alternates can be found in the following three words which all mean to breathe, to blow - נשב נשף נשם.